Germany is an interesting market for the world of digital. It’s renowned for having strong publisher influence and its risk aversion with dealing with companies that operate outside of its borders. What does the market look like from the perspective of a homegrown, independent trading desk? 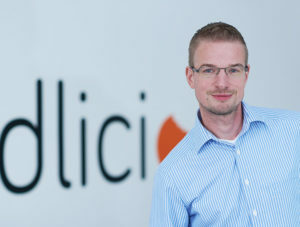 ExchangeWire speak with Viktor Eichmann, co-founder and managing director and Daniel Skoda, managing partner, Adlicious to find out their take on the state of the German digital industry and the challenges they face as a small independent. 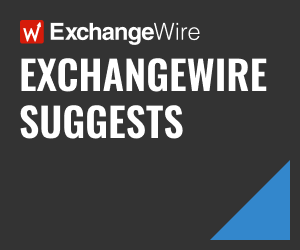 ExchangeWire: What is the state of the programmatic market in Germany? Daniel Skoda: Advertisers are putting better tracking and analysis in place to understand what is driving value for them and how things connect with each other and how one channel drives the other. Local players are entering the German market, offering multi-channel attribution, which is increasing uptake and advertisers are starting to understand it better. We are seeing it with a handful of advertisers, but the message is out there and it’s increasing more and more. Viktor Eichmann: From the publisher perspective, almost all big publishers in Germany are open to RTB; so, selling inventory through some kind of SSP – it’s mostly private deals still, but there is also an increase in OpenRTB. It’s not like in the UK, where every publisher is selling the majority of its inventory through RTB, but the majority of large publishers in Germany are selling inventory through OpenRTB. On our side, we try to get our edge through our knowledge; we try to be ahead of competitors. This is why we use so many different technologies and try three or four different DSPs for one client, which we measure through a central ad server to test performance on a client-by-client basis – no-one else is doing this in Germany; they are mostly bound to one DSP, through which all campaigns are executed. Is Germany a challenging market to operate in, as an independent trading desk? Does independence give you a competitive edge? Daniel Skoda: Our independence is our biggest challenge – advertisers still book with the big agencies and the big trading desks behind them, even if they don’t perform well, as they think because of our size, we can’t drive strong performance. We have run tests with the likes of C&A and Roller and every test we have carried out we have won against each trading desk. Most advertisers think, as we’re small, that we can’t handle their big budgets, so they go to big agencies and trading desks and, in the end, they land back on our desk again, as they aren’t happy with the performance of their original choice. 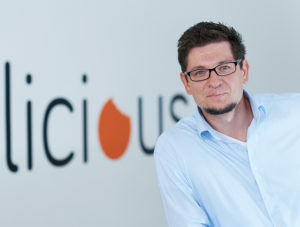 Would you class Adlicious as an industry underdog in Germany? Daniel Skoda: A little bit, yes. It’s easy for advertisers to run more tests with us, especially within ecommerce, as our infrastructure with a cloud-based solution removes barriers. People want to challenge their longstanding relationships with large agencies against more innovative and agile players. Do you work only with advertisers directly, or also with agencies? Daniel Skoda: Mostly advertisers, but sometimes we speak to agencies. An advertiser’s agency may arrange the IO with us, but the main point of contact is generally the advertiser. It’s a hard way for us to run things. You are somewhere in the setup, you are bound by the tracking and evaluation they have in place, but you aren’t being fairly valued. You have to go higher and speak with decision makers and marketing directors to make it clear that, when inventory is bought through one source, it is the truest assessment of performance through optimisation at scale, as opposed to optimising smaller chunks against each other. There is a different approach and level of discussion, which you don’t get with a media planner. Viktor Eichmann: In Germany, if you work with an agency as a specialised trading desk, you are one line on a media plan, but that’s not the whole picture. It’s a ridiculous situation. How many platforms do you work with and what is your strategy for working with them? Daniel Skoda: We actively work with five or six DSPs; but we have about 10 platforms that we work with overall. In theory, every DSP works with every DMP, which works with every SSP, etc, but that isn’t the case. We have some preferences; we often work with DBM, but also Adform and Turn quite often. We have a central ad server in place, which is core for us. We look at core, unique audiences that we can only reach on one platform, like with Amazon, for example. Viktor Eichmann: With our client, Roller, we have DCM in place as a central ad server and we run the campaigns on different DSPS, take the pixels from DCM, fire them on Amazon campaigns and demarcate those users within DBM campaigns. We then exclude them in DBM, so we don’t have a huge overlap on the same users. This is important, as DSPs don’t talk to each other, so we find solutions to exclude users to avoid negative frequency caps. This way, we achieve better performance, as Amazon only speak to the users they know, which DBM don’t speak to, and vice versa. What mobile trends are you seeing? Daniel Skoda: We can see mobile taking off, but we hear from a lot of clients that they see a lot of mobile traffic, but few conversions. It’s quite demanding to be able to steer that in the right direction – when we have 30-40% mobile traffic on a campaign, and roughly half of that traffic is worthless, we have to optimise a lot of sellers out of the campaigns. Mobile needs a lot of attention. Viktor Eichmann: There is a feeling that there is too much mobile traffic. There is a significant volume of traffic available; but maybe 20% of it is premium and the rest isn’t bot traffic, but it’s something in between, as it never performs. Is video a channel experiencing growth in Germany? Daniel Skoda: Video is a totally different thing. I’m not sure how it is in the UK. Maybe it’s not that different, but access to video inventory is still quite limited, so you have to be smart, find emerging publishers with content production and test them to see what works. You can buy video in large volumes – large agencies tend to buy targeted chunks of inventory on a TV-buying model to create pressure and drive lower prices. However, there isn’t much room for optimisation with that. Advertisers will become more savvy, as they will better understand video KPIs and be more critical of what they are buying. There is a lack of innovation in Germany, but it is an evolutionary process. Innovation comes from outside the market, so we are starting to see new video formats being tested here. What experiences have you had working with the Amazon Advertising Platform? Viktor Eichmann: The Amazon DSP is still quite young and has similarities to Google’s DBM. The DSP is good; it handles very well if you have bulk uploads, which we don’t always find to be the case with other DSPs with which we work. From a data perspective, you can choose from predefined segments, such as market segments (purchase intent within DBM), lifestyle segments (affinity within DBM), and Amazon, will also create custom segments based on your needs, for example, users who liked TVs above €1,000 within the last seven days. Basically, they will be flexible to suit you as they want to help you achieve campaign success. Based on what we have tested to date with Amazon, we have seen success. 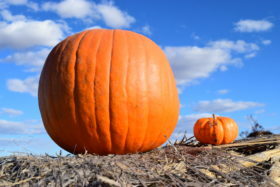 If you compare standard segments within Amazon to other DSPs, Amazon will often outperform them. When it comes to ad formats, it’s still quite standard – they are actually still at the beginning with that; their power lies more in the data. Amazon don’t connect to SSPs or operating OpenRTB. Their inventory is strictly chosen through direct negotiations with publishers – it’s only premium inventory; there are no mid- to long-tail sites. It’s quite unique for a DSP to be narrowed to premium inventory. Daniel Skoda: Amazon want to give advertisers plenty of insight: what users look like against their data. Their data is richer, so they can have more control and pass that control onto trading desks.